The hardest part of this project is waiting for everything to dry. 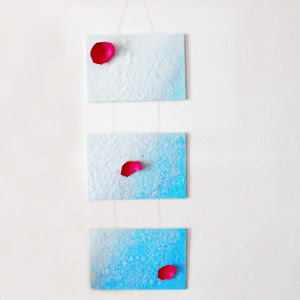 It's super easy, and it's great DIY art project for the whole family. Kids will love to get messy with paints, which you can clean easily from their hands. And you will keep them busy for few hours. 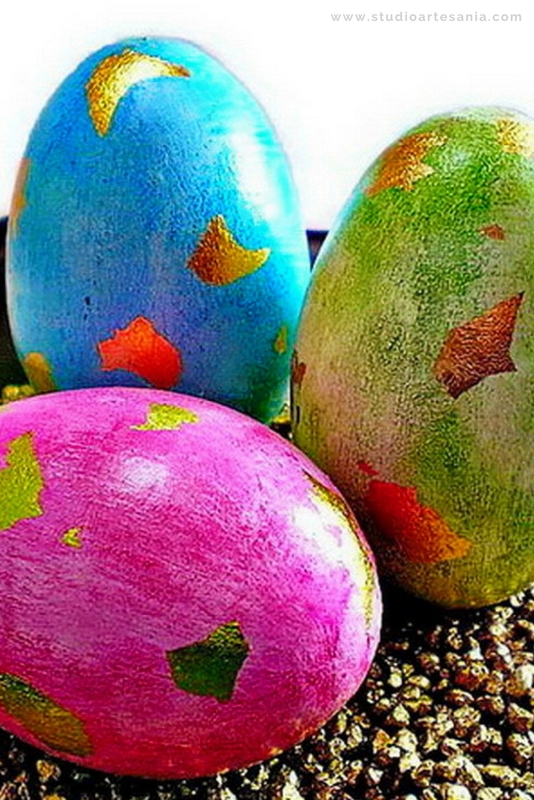 After you finish your crafty gathering you will have beautiful Easter decoration on which all the members of your family that has participated in the making will be proud. Place a wooden egg into the tape hole. 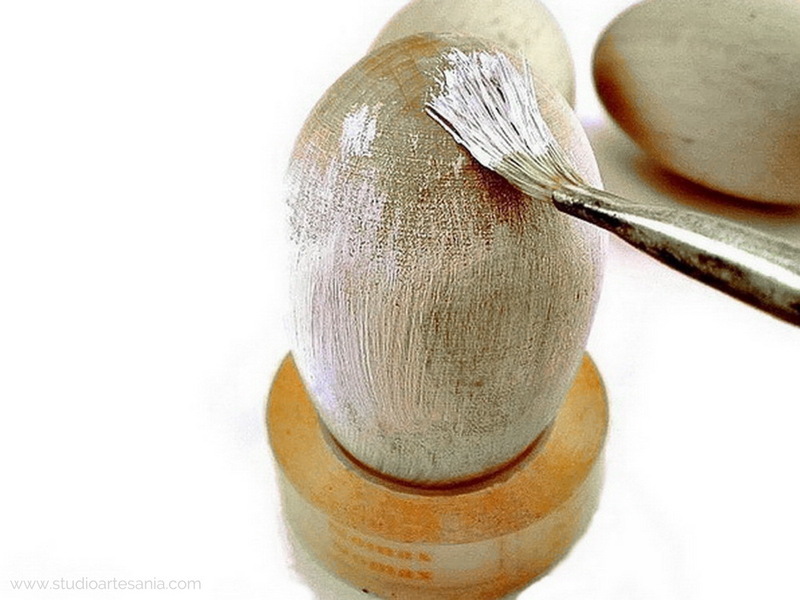 Squeeze white acrylic paint on a pallet or plate, and using a hard brush paint the top half of the egg. Allow about 15 to 20 minutes to dry, then turn the egg and paint its lower part. Let paint to dry again for about 15 to 20 minutes. 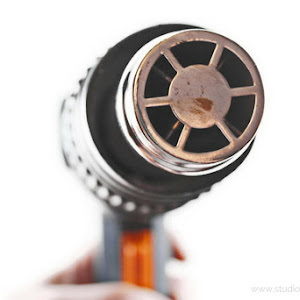 When the first coat has dried apply (in the same manner) a second coat of white paint. If it is necessary, apply the third layer of paint as well because it is important that the egg is evenly and entirely white. Repeat the process with the other eggs. Clean the brush and wash palette or small plate (if you used it) thoroughly. Leave eggs to dry well for about one hour. Dip your finger in water and rub it on the blue watercolor. Apply color to the egg. When you notice that the watercolor is dry, moisten your finger again, and proceed with staining. 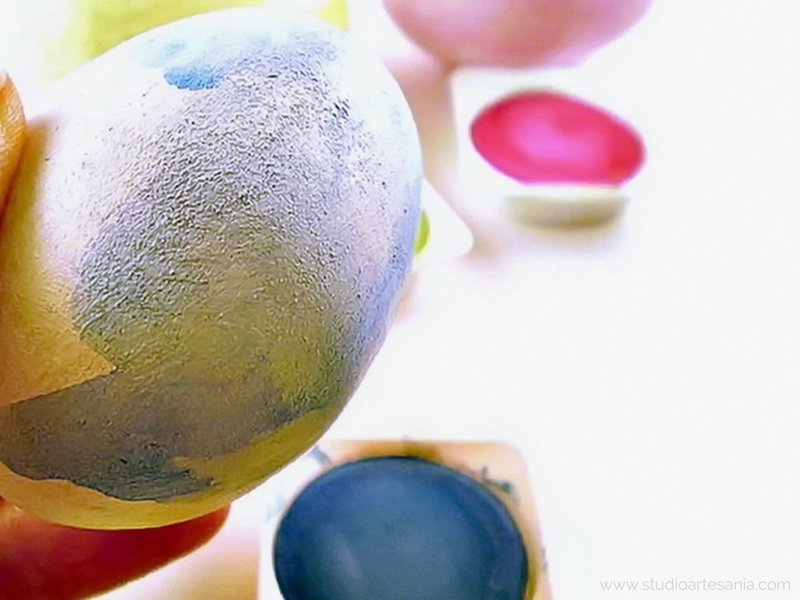 Apply blue watercolor to the whole egg. Leave for about 10 to 15 minutes to dry. 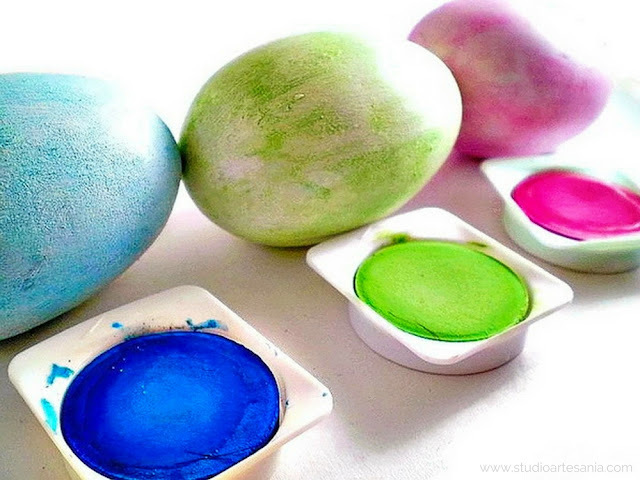 During this time, paint the remaining two eggs with green and magenta watercolor. After drying, apply another layer of the same color on each egg, and once again leave to dry. If you want eggs to have intense color, apply a third coat of proper watercolor. Leave eggs to dry properly for about half an hour. Tear gold metal leaf into smaller pieces, and put them aside on a plate. Then brush magenta egg with Fimo size (adhesive) for leaf metal, and leave it in tape hole for about 5 minutes to dry. 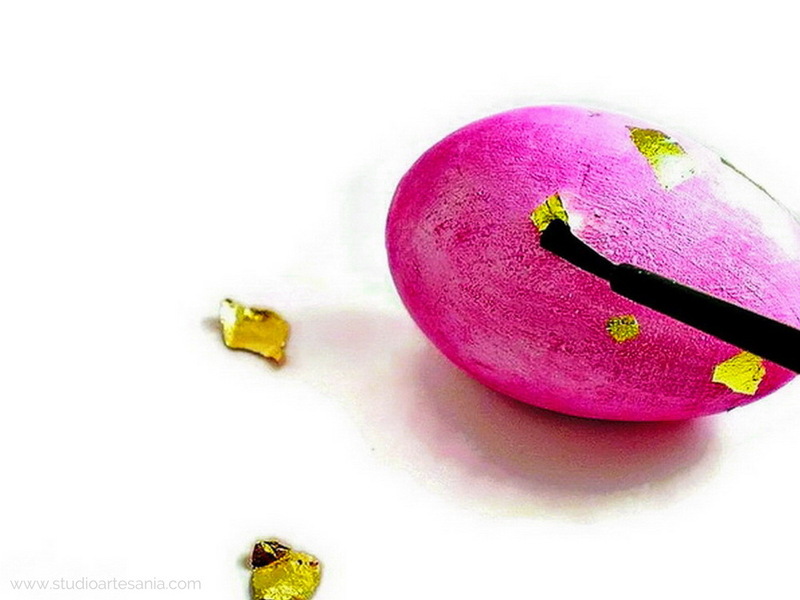 Very carefully, to prevent flakes on a plate to fly around, sparingly apply pieces of gold leaf on the egg. With a soft dry brush go over each applied piece of leaf to smooth and straighten them. Leave egg aside for a little while to let Fimo size dry well. 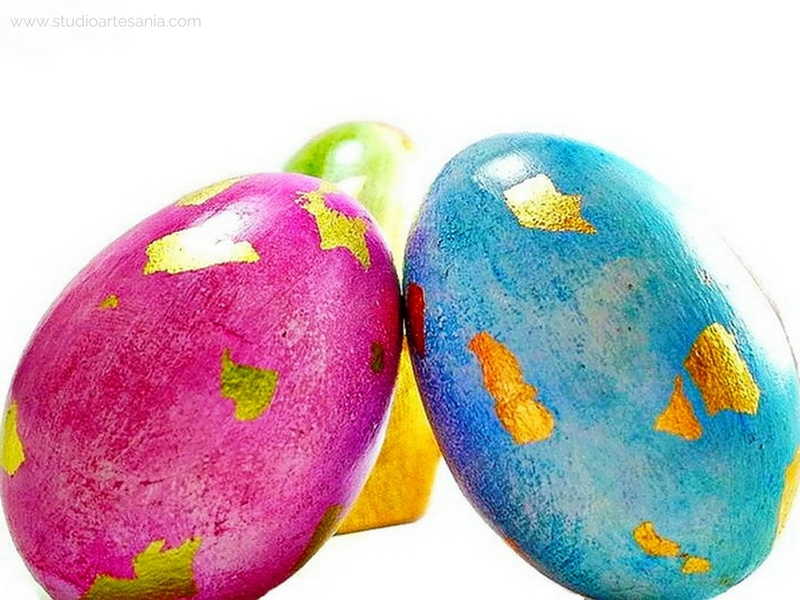 Repeat step 3 and 4 to apply gold leaf pieces on the green and blue egg. 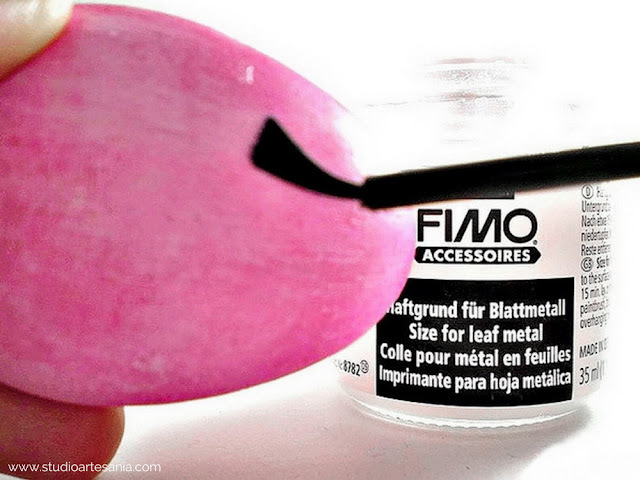 Apply Fimo varnish for leaf metal on all eggs in the same way that you are done painting in step 1. Allow the varnish to dry for at least 30 minutes. Then turn the egg and apply varnish on the lower part of it. Allow the eggs to dry for about 12 hours. Then place them in a bowl or on a decorative plate on which you have put decorative golden pebbles. 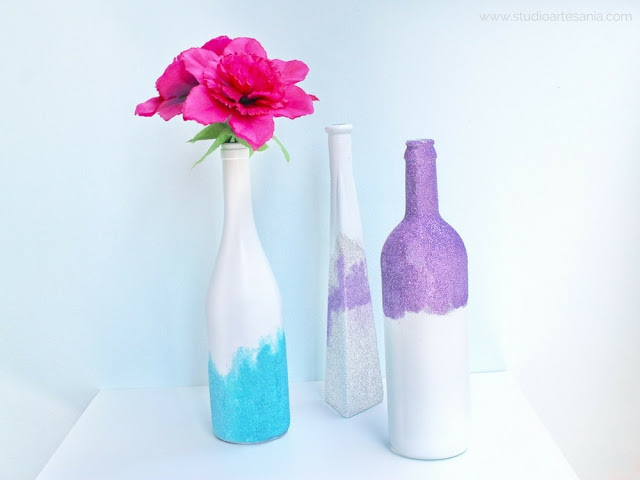 • Instead of tape, you can use a small glass as a holder during painting and varnishing. • Depending on the manufacturer or the type of wood that is used, you'll have to paint some wood eggs three to four times in order to be completely white. 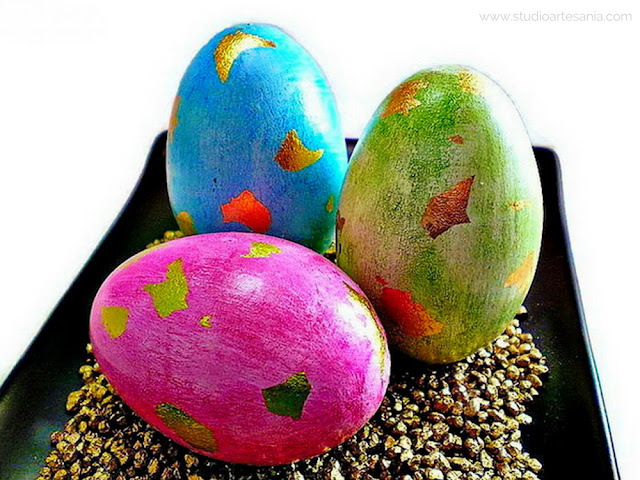 Eggs that I used was coated with two layers of white paint because they are made of brighter wood (beech tree). • If you apply watercolor with your fingers eggs will have an antique look (Shabby Chic effect), but if you want even coat, use a soft paintbrush. 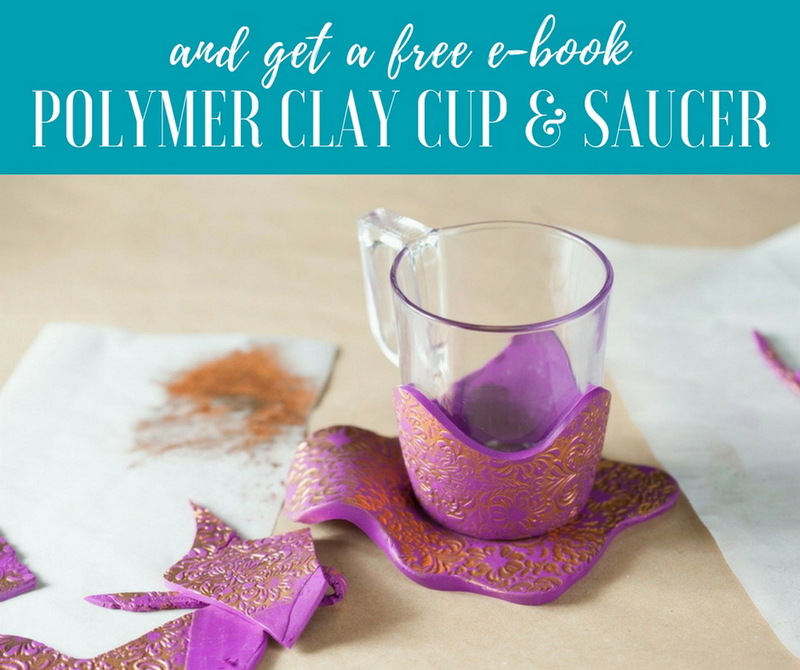 • For staining, you can also use a different color from the watercolor set. I chose colors that fit perfectly with my dishes, but you should definitely try yellow and purple because they give a beautiful effect too. • Rather than tear the whole gold leaf, you can use the remnants from another project or metal flakes. 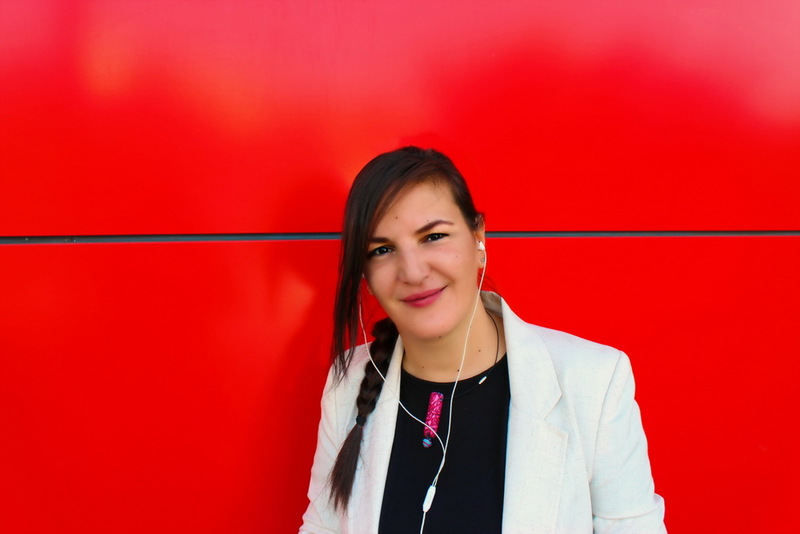 • If you want you can also use copper and silver metal leafs, although golden ones definitely give the best effect. Editor's Note: This post was originally published on my old blog as part of Easter DIY's on March 18, 2016, and has been completely revamped and updated.